Intro- The Soviets had finally decided to make way with their former ideology that carriers were useless and a million dollar missile could sink a billion dollar carrier. They decided to challenge the western naval aviation supremacy in the high seas with a formidable carrier fleet of their own. Their original plan was to build a nuclear powered carrier displacing around 80,000 tonnes armed with jet fighters for fleet defense. Logically with no prior experience in naval aviation, they decided to expand ship borne aviation in steps. It would be done in 4 steps, by operating vessels of different capability to gain experience in carrier ops. By the 3rd step, conventional jet fighters similar to those operated by airforces were supposed to be operated from the decks of a heavy aircraft carrying cruisers, whereas the 4th project would enter service with all the experience in the bank, ready to counter Western naval supremacy. Two jet fighters were developed as part of the 3rd step, the Su-33 and MiG-29K for carrier ops, and in this article we will concentrate on the MiG-29K, its rejection, its resurrection and how it helped in avoiding bankruptcy of Mikoyan design bureau. Lets have a look at all of the 4 steps before moving onto the story of MiG-29K to get a feel of what the Soviets had in their mind while testing the jet. The first step was marked by the construction and operation of Moskva class helicopter carriers under project 1123, which carried 14 Ka-25 helicopters. Different Ka-25s were used for different roles, Ka-25PL was used for ASW, Ka-25PS for SAR and Ka-25T for over the horizon targeting. Second step was marked by the construction of 4 Kiev class aircraft carrying cruisers (this tag was adopted to allow the passage of such vessels through strait of Bosporus which are forbidden for aircraft carriers. This project was labelled 1143 by the Soviets. The follow on project 1143.5 ie Kuznetsov class of heavy aircraft carrying cruisers was supposed to give the experience on fixed wing carrier air ops from a large vessel. 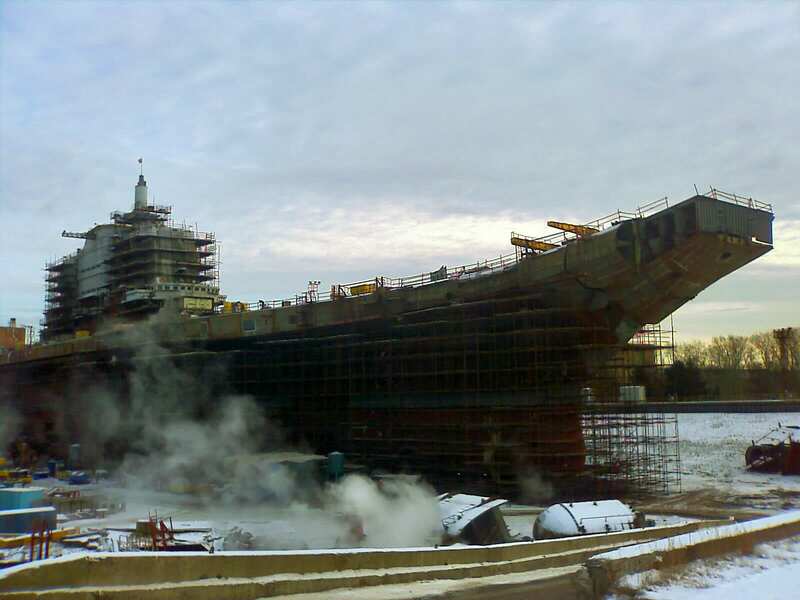 This experience would allow the Project 1143.7 ie Ulyanovsk class carriers to hit the ground running and have all of the tactics, strategies and standard operating procedures ready when they enter service to counter the western navies. In the late 1960s and early 70s, the design and requirements were still being drawn, a 40,000 tonne carrier with P-42 ASW aircraft (looked very similar to S-3 Viking), MiG-23ML and Su-25 supported by helicopters was desired at the end of development of carrier borne aviation. This project was labelled Project 1153 and was supposed to be CATOBAR (Catapult Assisted Take Off But Arrested Recovery). It was revised in 1973 to a 80,000 tonne nuclear powered carrier with T-10K (designation used by Sukhoi bureau for Su-27K) , Su-25 and P-42 but was STOBAR (Ski jump Take Off But Arrested Recovery). The displacement remained constant but the air wing was changed. The above mentioned projects except the T-10K were shut down (except Su-25UTG would serve as a carrier borne trainer). Mikoyan was asked to put forward a new design, the bureau chose a variant of its premier MiG-29 jet fighter (NATO name Fulcrum) to fulfill this demand. Initially it was supposed to serve along side the Su-27K on the Soviet carriers. Su-27K was supposed to be the primary air defense fighter of the fleet whereas multirole MiG-29K was supposed to do surface strike missions along with fleet air defense. When the development of Kuznetsov was started, an air wing consisting of 18 Su-27K, 28 MiG-29K and 14 Kamov helicopters for SAR, AEW and ASW was theorist. The roles of the carrier borne fighter were changed again, they were now supposed to do just fleet air defense, this is one of the reasons for MiG-29K being overlooked. The USN used steam catapults to launch its jets from its carriers and arrestor wires to retrieve them on deck. The Soviet designers didn’t share the same ideology. They thought that steam catapults were maintenance intensive, and the aircraft had to bear far more stresses due the catapult assisted launch. This added a weight penalty and reduced overall airframe life. The other option, ie use of ski jump seemed more attractive to them. The aircraft would launch under its own power, thus no extra stresses were to be considered, except those of the landing. This also allowed them to reduce the weight of the jets and increase their performance. This however had a disadvantage, only jets with high TWR (Thrust to Weight Ratio) could operate from the carrier, hence the selection of Su-27K and MiG-29K is justified. Both of these jets sport TWR more than unity and were the top line of jet fighters of that era. The mode of recovery was however not changed, it was supposed to be arrested recovery using arrestor cables which would be connected to weights, thus absorbing the energy from the landing jet and slowing it down. Thus to test the feasibility of such a design, a facility named Nitka was built, in Crimea. A shore based test facility was established in Crimea during mid 1982 , nicknamed Nitka, it sported a ski-jump and a set of arresting gear to test the aircraft. 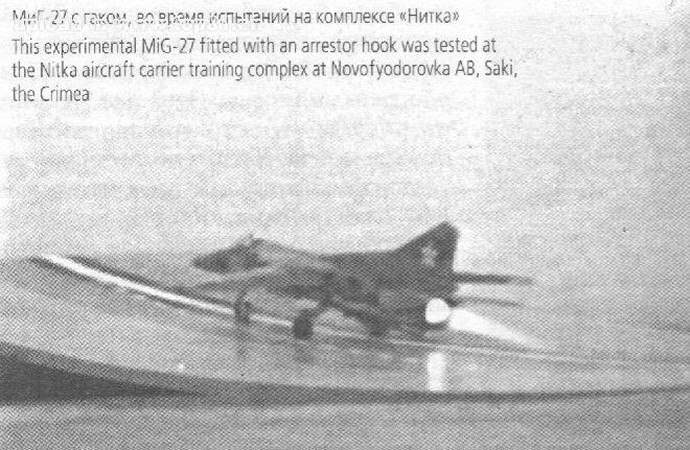 Initial tests were conducted using a modified MiG-27, fitted with a tail hook instead of the folding ventral fin. It was later replaced by a modified MiG-29, designated MiG-29KVP for trials from late 1984. Trials also involved an early production Flanker-B with a tail hook. These initial tests showcased a need for a modified ski jump, after which a new ski-jump was built and trials continued. The results validated that ski-jump and arrestor wires could be deployed on an aircraft carrier for operational usage. Thus the development of fullscale airworthy demonstrators was started. 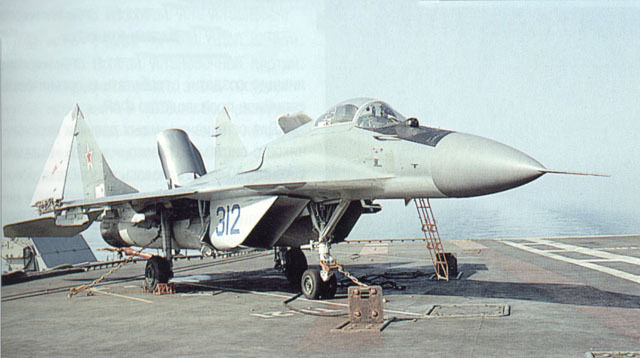 Mikoyan design bureau was developing 2 jets side by side, MiG-29K ( designated object 9.31 by the bureau) for the navy and MiG-29M for the air force. The K variant benefited from the advance avionics suite being developed for the MiG-29M. The MiG-29K and M both sported many changed over the older variants, here is a list of how MiG-29K differed from the older Fulcrums. Absence of auxiliary intakes in LERX. Fuel tanks in place of aux intakes. Solid doors on intakes used to keep debris away replaced by mesh. Higher wingspan to allow slower approach speeds. Stronger landing gears, fuel tanks and airframe. Nose gear which could turn 90 degrees in both ways to allow increased maneuverability on the deck. Tail hook in place of the older airbrake and parachute module. Folding wings to conserve space. Nose mounted retractable refueling probe was added. Modified navigation suite for over sea ops. Provision for buddy refueling pod. A total of 2 MiG-29K prototypes were built, numbered 311 ‘blue and 312 ‘blue. The first prototype was an aerodynamic capability demonstrator without any fire control systems, sensors etc,. The second prototype was what the Soviet navy would get if ordered. It was a true multirole jet fighter unlike the Su-27K which was purely designed for air superiority. These jets were first tested on the SBTF before being tested on the carrier which was then known as the Tbilisi (Admiral Kuznetsov has had 3 different names, Leonid Brehnev during construction, Tbilisi during trials which was then changed to present Admiral Kuznetsov on 4th Oct 1990). MiG-29K prototypes conducted several fly overs, touch and goes before making the first arrested landing (second Su-27K prototype had managed to make the first Soviet arrested landing just under an hour and a half before MiG-29K did) on 1st of Nov 1989. The following day MiG-29K conducted the first ski jump assisted take off from a ship in the Soviet Union. Trials included ops with different loads and the MiG-29K took off with full load from the front take off position which is roughly 100m front the tip of ski-jump. The almost 4 decade long cold war was now coming to an end. The Soviet economy was just a mere shadow of its former self. It was decided to go ahead with Su-27K only instead of the original plan. 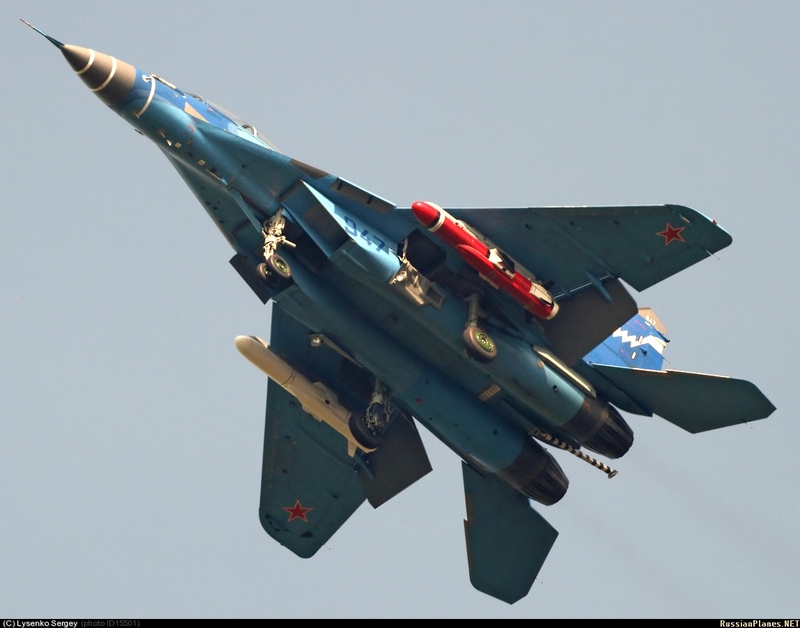 Su-27K prevailed as the Russians wanted a pure air superiority jet fighter instead of a multirole fighter. The MiG-29K was capable but had inferior range and payload compared to the much larger Su-27K and thus the Flanker derivative became the logical choice. 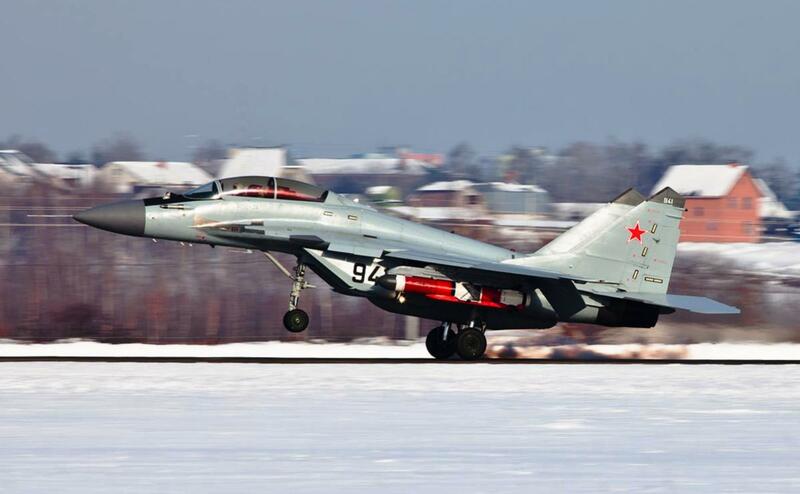 Twenty four Su-27K were ordered which entered service with a new designation ie Su-33. The carrier was renamed Admiral Kuznetsov in the year 1990 and would there after spend most of her time in the port instead of active patrols. The construction of her sister Varyag was stopped, she would later be bought by the Chinese and as of now she serves the Chinese navy with an air wing comprising of J-15s, another member of Flanker family. Both of the MiG-29K prototypes were mothballed and won’t be airworthy for some time. One of the original plans was to convert the existing vessels into pure carriers once the Soviets had gained the required know how about carrier ops. Interestingly the Russians themselves never took up the option, but India, a country with decades of experience in carrier ops, including ops during combat was offered such a deal. The deal was supposed to convert Admiral Gorshkov, the 4th Kiev class vessel into a STOBAR carrier for the Indian navy. 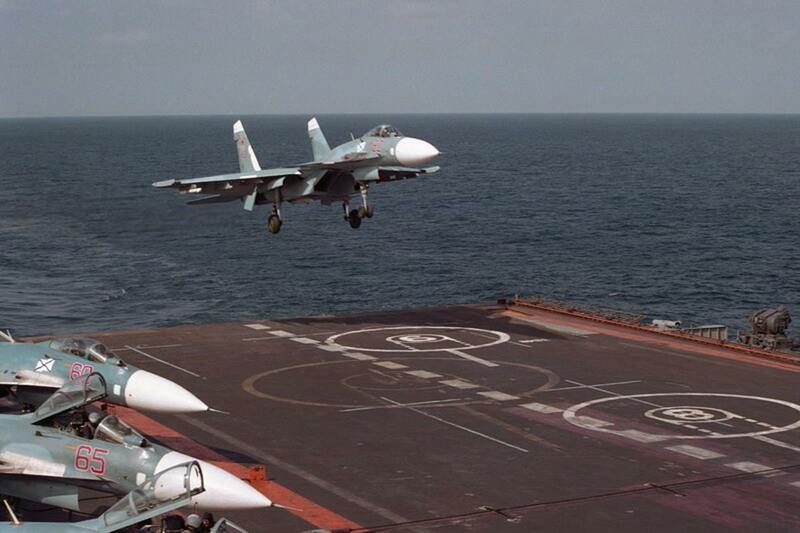 Since the 44500 tonne vessel would be much smaller than the Kuznetsov and hence the now cancelled MiG-29K was offered as part of the air wing which the Indians happily accepted. Both of the prototypes were resurrected to air worthy status for trials, the second prototype however was modified to use the newer RD-33MK engine which was an uprated and an efficient variant of RD-33K used by the original MiG-29K. To save construction and operating costs, the single and twin seat variants were merged into a single airframe. The new MiG-29K now designated Object 9.41 and MiG-29KUB designated 9.47 and shared the same airframe. The second seat on the K variant was replaced by an additional fuel tank. This would later be adopted for the new MiG-29M variant under development too. The flaps were further enlarged and now protruded behind the trailing edge of the wing. Russians developed two prototypes of the new variant, numbered 941 and 947, thus 1 K and 1 KUB. Indians apparently were allowed to fly this jet and get a feel. India placed an order for 16 MiG-29Ks, and 29 options in 2004, for its carriers INS Vikramaditya and INS Vikrant, the latter was under development at that time. The option for 29 was taken up and the total no stands 45 strong. Russians some years after the signing themselves placed an order for 24 MiG-29Ks for the Kuznetsov as Su-33 production line was now non-existent and Mikoyan would produce larger number of jets for India thus they could get em at a cheap cost too. India like the preceding projects involving Su-30MKI, MiG-21 Bison and the upcoming MiG-29UPG would prefer a multinational avionics suite with Zhuk-ME radar acting as the primary sensor,while the Russians preferred a domestic suite. Interestingly thus the MiG-29K would replace the jet which had caused its rejection, hows that for a revenge? 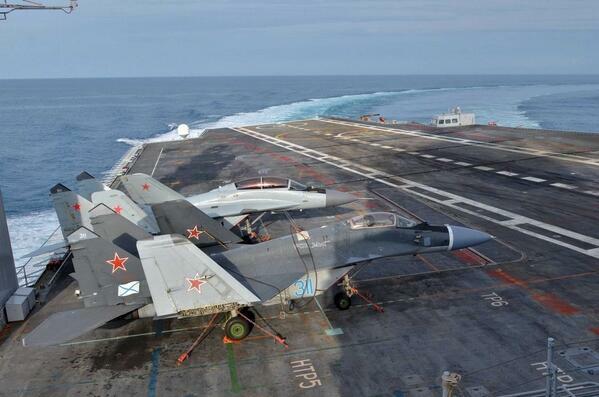 Since the jets had to be tested on carriers before being granted clearance for service, Indian Fulcrums along with the new prototypes were tested onboard Admiral Kuznetsov before official delivery to India as the Indian carrier was now delayed by years. It would only enter service in late 2013, arrive in India and take up her air wing in 2014. Bort number 941 was used in trials onboard INS Vikramaditya once she completed the refit to test her systems which support air ops. It flew alongside another old prototype bort number 204 and the legacy 311. Bort 204 was bought in for trials after 947 was lost in a crash. They would again return during the 2nd sea trials as her first trials were cut short due to malfunctioning boilers, which were repaired for the second sea trials. On the other hand India commissioned its first MiG-29K naval air squadron as the INAS 303. First landing with an Indian pilot at the controls occurred on 7th of Feb 2015, marking the first trap by an Indian pilot in decades after the once CATOBAR carrier INS Vikrant was converted to STOVL. The squadron deployed on the carrier and the vessel was designated combat ready. Delivery of the second batch was started in 2015 and would operate off INS Vikrant which is in advanced stages of construction as of 2015. Reportedly, the Indian navy used these jets for training other units as well as they were seen dogfighting with the Harriers, the former backbone of the Indian naval air arm. The tests showed that MiG-29Ks could take off from INS Vikramaditya with full load of 5.5 tonnes, it could be any combination of AShMs, fuel tanks, precision guided munitions and air to air missiles. Mikoyan was nearly bankrupt at the end of cold war, Sukhoi had survived the end by selling 100s of jets to India and China but Mikoyan had very few orders to fulfill with almost no domestic order. The MiG-29K was one of the deals that played a part in resurrection of Mikoyan, along with sale of MiG-29SMTs to Algeria (these jets would be rejected and adopted by the RuAF), Russian order for 16 more MiG-29SMTs after adopting the Algerian rejects, MiG-35 order by Egypt and an eventual order by Russia as and when it is ready for service. Mikoyan is reportedly developing its own 5th gen fighter which has now got the backing of the Russian defense ministry. Thank you for the article. Keep it coming folks.